At LaFayette Collision Center, Inc. we believe that something worth doing is worth doing right. Though we meet by accident, we want you to be glad we did. So, we stand by our services, products and work. LaFayette Collision Center Does More Than Just Repairs! Get Your Vehicle Detailed too. November 30, 2016 Comments Off on LaFayette Collision Center Does More Than Just Repairs! Get Your Vehicle Detailed too. Having Hood Troubles? Bring Your Vehicle in to Lafayette Collision Center! November 29, 2016 Comments Off on Having Hood Troubles? Bring Your Vehicle in to Lafayette Collision Center! It’s Boating Season and Backing Up is Hard. Have an Accident? Bring Your Vehicle to LaFayette! 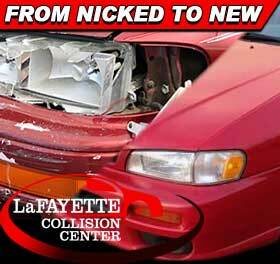 LaFayette Collision Center Takes Cars from “Nicked to New”! Bring Your Vehicle to LaFayette Collision Center for External Body Repairs! Does Your Vehicle Need Body Work? Bring it to LaFayette Collision Center! Missing a Bumper? LaFayette Collision Center Can Fix That! 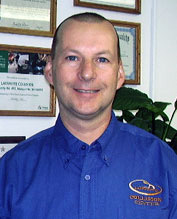 Nick from LaFayette Collision takes care of your auto needs!